Jordan Cooper is the President of Rotunda, LLC, a public affairs firm based in Washington, DC. He brings a decade of experience providing verve, perspicacity, and pithy communications strategies and digital expertise to healthcare and political arenas. His work can be seen on the front page of newspapers and heard on your smart phone, ensuring that the voice of the patient, the consumer, and the voter is heard. Jordan is also currently the Host of Public Interest Podcast. He has been involved with the implementation of the Affordable Care Act across the public and private sectors in hospitals, health insurance organizations, advocacy groups, the state legislature, and physician groups. Jordan believes strongly in giving back and has served his community as the President of the Luxmanor Citizens Association and as the Chair of the Washington Suburban Sanitary Commission Customer Advisory Board. He currently serves on the Western Montgomery County Citizens Advisory Board, the White Flint Downtown Advisory Committee, and the Rockville Selective Service Board. Rotunda, LLC was created in 2014 to facilitate the improvement of our healthcare delivery system and our democracy. Our work has been published in The Washington Post, The Baltimore Sun, The Montgomery Sentinel, The Montgomery Gazette, WMAL Radio, WTOP Radio, The Baltimore Chronicle, The Happyness Journey, The Rotunda Podcast with Trimmel Gomes, Social Sidekick, WTHU AM Radio, Rebecca Sounds Reveille, WHAG Television, Montgomery Community Media Television, Health Relationships with Daaiya Cixx, Billionaire Lifestyle Podcast, New Theory Podcast, A Miner Detail, Baltimore Post Examiner, The Celock Report, Bethesda NOW, Bethesda Magazine, Center Maryland, Washington Jewish Week, Seventh State, Chinese Outlook, Maryland Reporter, Maryland Patch, & Daily Kos. Jordan has been a featured speaker at DC Podfest, the Mid-Atlantic Podcast Conference, the Dupont Summit, Walter Johnson High School, Georgetown Preparatory School, Brighton Gardens at Friendship Heights, Brighton Gardens of Tuckerman Lane, the Hebrew Home, and Maplewood Park Place. Jordan is Epic Certified in EpicCare Ambulatory, Radar, Reporting Workbench, and EpicCare Order Transmittal. He is also Public Health Certified by the National Board of Public Health Examiners. These certifications mean that he is able to translate technical health information technology concepts and jargon into readable, actionable documents. 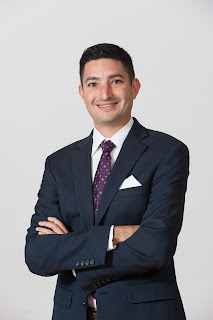 Jordan has a master's degree in health policy from the Johns Hopkins Bloomberg School of Public Health and a bachelor's degree in political science from Vassar College. Jordan was born and raised in Montgomery County, Maryland. President and CEO of The Vela Group, LLC, a global business development consulting firm with clients in the U.S. and Latin America. Through this venture, he brings an international net- work of high-profile leaders and decision makers to his various clients.